The Winter Gardens is located in Harrogate, England. 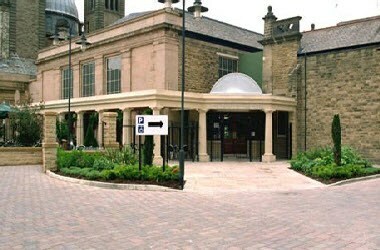 Harrogate's former Royal Baths included the Winter Gardens, which was built so that visitors could relax and stroll in any weather. Its name lives on in this Wetherspoon pub. The bar is available for meetings.